Back in 2009 I didn’t enjoy answering that question because I was delivering bad news to friends and family that their house was worth less than they owed on it. Today, that conversation is not as difficult because most people are above water on their mortgage, meaning they have some equity. Part of this is due to appreciation. 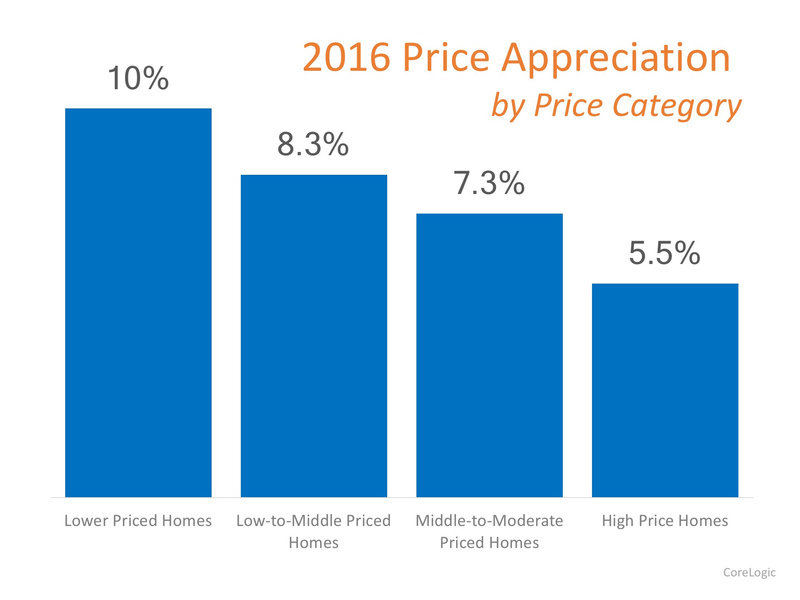 However, the amount of appreciation depends on the price of the house as to how much it has increased in value during 2016. Here in the Raleigh and Durham markets, we are seeing that same consistency. Currently, homes under $300,000 are selling at their highest prices ever due to lack of inventory. Another phenomenon created by this issue is that the homes available are not meeting the needs of the buyers. For example, there are 74.6 million Baby Boomers that started turning 70 years old last year. They are selling homes bought in the 90’s known as “McMansions.” These homes have large square footage and half acre lots that require significant upkeep. Current buyers want smaller homes that require less upkeep. There are 80 million Millennials that begin to turn 37 years old this year. They are looking for homes with smaller square footage, less yard to take care of and walking trails to get outdoors in the community more. In addition, their kids are into soccer, swimming, hockey, skating, etc. so they don’t spend as much time at the home as previous generations did. As a result, space in the home is not at a premium. Brian talked about this in this video from 2016.